Independent crime-fighting charity Crimestoppers is today launching a campaign to support Humberside Police in tackling Child Sexual Exploitation. 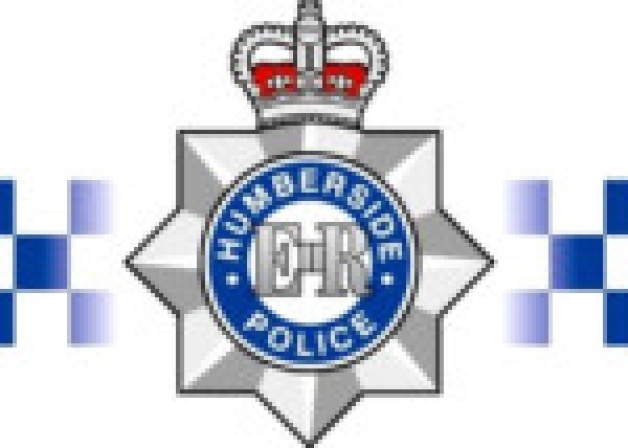 Working alongside partner agencies including the local authorities, the NHS and the High Sheriff of East Riding of Yorkshire, the awareness campaign is being rolled out across the whole of the Humberside Police force area staring with events today in Scunthorpe and Grimsby. The aim of the campaign is to help members of the public recognise possible signs of CSE through a range of media resources including posters, leaflets, billboards, bus stops and calling cards that are being distributed across the area to help spread the message. Chief Constable Justine Curran said: “Humberside Police is committed to preventing child sexual exploitation, helping victims and bringing offenders to justice. “The issue of child sexual exploitation is here and now. It can affect any child, anytime, anywhere regardless of their social or ethnic background and we all have to work together to protect our young people and to educate them about their choices. “Child sexual exploitation does take place in the Humberside Policing area and a huge amount of work is being done to tackle it. We have centralised our Protecting Vulnerable People unit to make sure we have a consistent approach across the force and we have focused specialist officers on identifying suspects and potential victims, working on preventing and resolving cases and offering support to victims and their families. “Working closely with our partners in schools, social services and other areas, we are all absolutely committed to eradicating this devastating abuse across our communities. “But as a community, we all have a responsibility to get involved in prevention. Men and women target vulnerable young people, who often feel isolated and unloved. They often make initial contact online and gain young people’s trust by listening to their problems, complimenting them, offering them affection and giving them gifts. Once they have gained their trust they manipulate and control them, sometimes through the use of alcohol and drugs, into sexual activity. Very often these young people believe they are in a loving relationship and do not know they are a victim. “Offenders also manipulate young people by treating them as adults. They may give them expensive gifts and invite them to parties, offering them alcohol and drugs, before taking advantage of them when they are under the influence. Sometimes offenders operate alone, other times in groups. “It is important to put stereotypes out of our minds. Talking about “dirty old men” is not helpful. Both adult men and women of varying ages engage in this type of offending. There has been a lot of media coverage recently on gangs of Asian men engaged in this type of activity in other areas of the country. Although we must confront and be open about that particular issue, the fact that it hits the headlines does not mean it is the most common form of abuse, or that it is all we should focus on. It is important to point out that 80 per cent of this type of offending is carried out by white men acting alone. “Along with the police, parents have a responsibility to educate their children about sexual relationships and the lifestyle choices they make. They also have a responsibility to know what their children are doing online and who they are talking to, giving them sensible advice on how to stay safe. “We all have a responsibility to be vigilant in our communities, bringing suspicious behavior to the attention of the police and other agencies. It is easy to ignore activity like young people visiting an adult in a house on a regular basis, or adults being in the company of children in the community when something about it doesn’t quite add up. Please do not dismiss what you see as paranoia, call us and let us make that assessment.